The 5-year fixed rate is Canada’s most popular mortgage, by far, especially with first-time homebuyers. If you need long-term peace of mind, a five year mortgage is the best combination of security and savings. More than one out of every two mortgagors choose a 5-year fixed. When rates are rising or the spread between fixed and variable rates is small, that number can jump to 3 out of 4 mortgagors, or more. 5-year fixed terms are generally the longest Canadian mortgages to come with competitive rates. Terms beyond five years are usually not worth the extra interest. 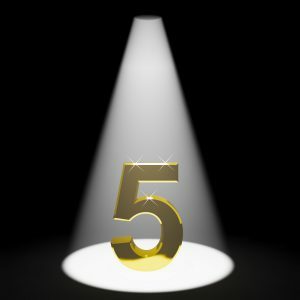 Why Get a 5-year Fixed Mortgage? Have no plans to increase, refinance or pay off their mortgage before five years is up. Fixed rates can have much higher penalties for early termination. Major bank penalties, in particular, can be relatively extreme as they are calculated using the bank’s posted rates instead of its actual rates. Most five-year borrowers break their mortgage in 3.8 years on average. A 5-year term therefore raises the probability you’ll pay a penalty to exit the mortgage early. Long-term fixed rates have historically cost borrowers more interest than variable and short-term fixed rates (but rates have also been in a downtrend for over 30 years). 5-year fixed rates become highly popular when the spread between fixed and variable rates is narrow (e.g., less than 1/2 percentage point). Five-year terms are the easiest mortgage for a lender to raise capital for. That’s because of the preponderance of capital available in the market for this specific mortgage (investors love 5-year terms). This keeps 5-year fixed rates exceptionally competitive, and often lower than even 4-year terms. Don’t expect to get a great 5-year fixed rate if you’re locking in a floating-rate mortgage. Lenders typically offer sub-par “conversion rates” to such borrowers, and those rates can be 20-30 basis points higher than the best 5-year fixed rates they offer new customers. The all-time record low for a non-teaser 5-year fixed rate was 1.91% in November 2016. This was a default insured cash-back effective rate offered by a mortgage broker. The lowest 5-year fixed bank discretionary rate was 2.44%, also in 2016. It’s impossible to accurately forecast rates long term. 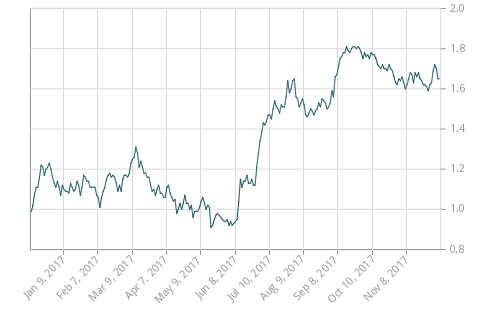 But, if you want to guesstimate where 5-year rates are headed short term, keep an eye on Canada’s 5-year government bond yield (below). The former tracks the latter quite closely. 5-year yields, and hence 5-year fixed mortgage rates, rise and fall based mainly on investors’ inflation expectations. They’re also impacted by supply and demand for government debt in general. If investors think the supply of bonds could increase, for example, or that other investments (e.g., stocks) offer a better risk/reward, they may sell bonds. That drives up rates since bond prices and yields are inversely related.